Brand new comedy open-mic in Otsuka! Just a short walk away from Otsuka on the Yamanote Line, Titan Craft Beer is the home to our latest open mic. Come down for some laughs, beer and gyoza! This is a true open mic – please indicate that you are via the Facebook event page, but we will try to accept all comers with sign-ups closing at 19:45 at the venue! Get on the Mic! 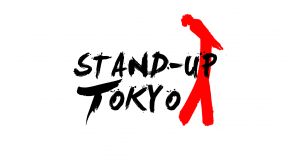 is a space for trying new things, workshopping ideas and making your comedy debut in Tokyo!